The MiniPro™ USB 3.1 external hard drive provides a simple and efficient way to expand the capacity of your Xbox One — making it a perfect solution for gamers who need massive storage. The drive is plug-and-play ready with the Xbox One. Simply connect the drive to a USB port in the Xbox One and it will be available for use within seconds. Access and play your entire game collection directly from the MiniPro! The stylish design features a durable aluminum body engineered to effectively dissipate heat and provide rugged portability. 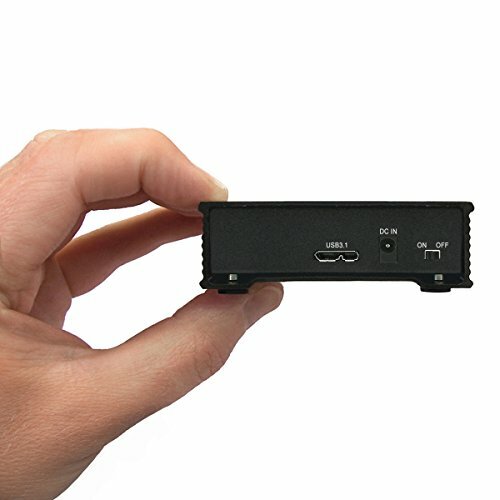 Bring your MiniPro to a friend's house and connect to their Xbox One for games on-the-go. Finally, the MiniPro is backed by an Oyen Digital 3-year warranty. Massive 4TB (4 Terabyte) capacity! Plug and play compatible with the Xbox One / S / X - store up to 100 games!